Mark your calendars! 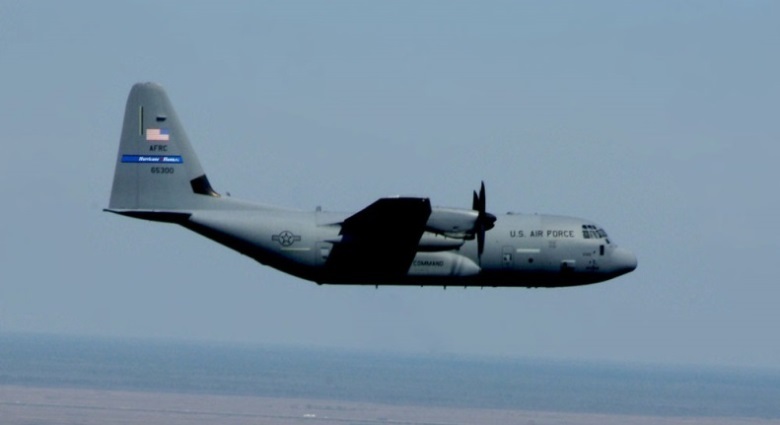 The Hurricane Hunter aircraft and pilots will be coming to Pennsylvania for the first time ever on Tuesday May 7, 2019! The 2019 Hurricane Awareness Tour will make a stop at Harrisburg International Airport on May 7, 2019. Public tours run from 2-5pm with all ages welcome to join us! Come tour inside the aircraft, meet the crew members and pilots, and talk with National Hurricane Center Director Ken Graham. Local first responders will also be on site and you'll be able to see helicopters, firetrucks, and other emergency response vehicles. Although you may not think hurricanes really affect Pennsylvania, come learn about the impacts of inland flooding and other hazards associated with hurricanes from National Weather Service meteorologists, Pennsylvania Emergency Management Agency, and many others! One of the stops on the 2019 Hurricane Awareness Tour will be Harrisburg, Pennsylvania. This stop will occur at Harrisburg International Airport, on Tuesday, May 7, 2019. The NOAA Lockheed WP-3D Orion “Hurricane Hunter”, is widely known for use in hurricane research and reconnaissance. The versatile turboprop aircraft is equipped with a variety of scientific instrumentation, radars, and recording systems for both in-situ and remote sensing measurements of the atmosphere, the earth, and it's environment. The NOAA Office of Marine and Aviation Operations and based at Lakeland Linder Regional Airport, FL maintains and operates two Lockheed WP-3D Orion aircraft in order to conduct low-altitude data collection to fill gaps in data not available from ground based radar or satellite imagery. The National Hurricane Center Director, Ken Graham, and Hurricane Specialist Daniel Brown, including USAF and NOAA hurricane hunter crew members, will be on hand to educate residents of vulnerable communities about hurricane preparedness and will be available for interviews. Staff from local emergency management offices, non-profit organizations such as the American Red Cross, Federal Alliance for Safe Homes (FLASH), and personnel from the National Weather Service offices will be part of the team at each stop. Community groups, media, elected officials, select local schools (schools by invitation only), and the public are invited to participate and tour the aircraft and exhibits. Public tours will be given from 2:00 to 5:00 p.m. Registration is not required for the public tours; those wishing to visit this event can simply show up any time between 2:00 and 5:00 pm. The Harrisburg, PA stop on the Hurricane Awareness Tour will feature two Hurricane Hunter Aircraft. The WC-130J is one of ten such aircraft used by the U.S. Air Force Reservists from the 53rd Weather Reconnaissance Squadron, 403rd Wing, located at Keesler AFB in Biloxi, MS. Air crews fly directly into the core of tropical cyclones to gather data critical for forecasting tropical cyclone intensity and landfall. This portion of the event will run from 9:30 AM until 2 PM, and will be available to select school groups by invitation only, and media tours only. This aircraft will be on display throughout the duration of the event. Visitors will be able to view this aircraft from the tarmac, and will be able to learn more about this aircraft via static displays adjacent to the aircraft. This aircraft will be on display throughout the duration of the event. Visitors will be able to participate in guided walk-throughs of this aircraft. In addition to the aircraft, several NWS partners will be on hand staffing exhibits and display booths to join us in our effort to promote hurricane awareness, preparedness, and resiliency. Examples of such partners and exhibits include: American Red Cross, Federal Alliance for Safe Homes (FLASH), Pennsylvania Emergency Management Agency, Pennsylvania State University, Millersville University, and many others. This portion of the tour will be available to all visitors and will run through the duration of the event. 2:00 PM - 5:00 PM Event Open to the Public for Tours - Registration is not required. Those wishing to visit the event can simply show up. In addition to the aircraft, several NWS partners will be on hand staffing exhibits and display booths to join us in our effort to promote hurricane awareness, preparedness, and resiliency. Event attendees will be directed to park in the lot right across from the AvFlight building (west of Fairfield Inn & Suites). There is a crosswalk from this lot that leads to the tarmac where aircraft will be parked. There will be plenty of signs to direct visitors where to park and how to access the Hurricane Awareness Tour, so please look for those signs as you are approaching the parking lot. The following image shows the layout of exhibits outside the terminal on the tarmac and the general flow of traffic. The Harrisburg, PA stop on the 2019 East Coast Hurricane Awareness Tour will take place at Harrisburg (MDT) International Airport, General Aviation Terminal, on Tuesday May 7, 2019. The MDT General Aviation Terminal is located at 3 Terminal Drive, Middletown, PA 17057. The easiest way to access the General Aviation Terminal is via the Harrisburg International Airport exit on PA-283 W and follow the signs to the terminal. The map below shows details regarding this route and entrance. The event entrance (and exit) will be near the NW corner of the tarmac area. There will be plenty of signs to guide visitors to the parking area and event entrance. In addition, please utilize the maps below that show the layout, parking, and entrance details. Public parking is free of charge and available directly across the street from the tarmac (just west of Fairfield Inn & Suites). For more information on the Harrisburg event, contact Pete Jung of NWS State College at 814-231-2423, or Peter.Jung@noaa.gov.